She was retired from the Kentucky Department of Transportation. Louise was a member of the Walnut Hill Separate Baptist Church. She was the former owner of WKDO Radio in Liberty. She was a former employee of the Casey News and the Commonwealth Journal. She was a former member of the Kentucky Broadcaster's Association. She was a native of Liberty, KY, and a resident of the city at the time of her death. She was the daughter of Mildred Faye Lawson Grider, who survives, and the late Vernon Grider, Sr. She leaves five direct living descendants. Louise Wesley, age 71, of Liberty, passed away on Tuesday, April 10, 2018, at the Liberty Care Center. Funeral services will be held at 12pmNoonCT/1pmET, on Friday, April 13, 2018, at McKinney-Brown Funeral Home, 752 Campbellsville Street, Liberty, KY, with Bro. Rodney Smith, Bro. Clifton Cowan, and Bro. Mark Yaden officiating. Burial will follow in the Glenwood Cemetery, Casey County, KY. Visitation will be 9am-12pmNoonCT/10am-1pmET, on Friday at the funeral home. Born October 6, 1946, in Liberty, Casey County, KY, she was a daughter of Mildred Faye Lawson Grider and the late Vernon Grider, Sr. She died Tuesday, April 10, 2018, in Liberty, Casey County, KY, at the age of 71 years, six months, and four days. She was retired from the Kentucky Department of Transportation. Louise was a member of the Walnut Hill Separate Baptist Church. She was the former owner of WKDO Radio in Liberty. She was a former employee of the Casey News and the Commonwealth Journal. 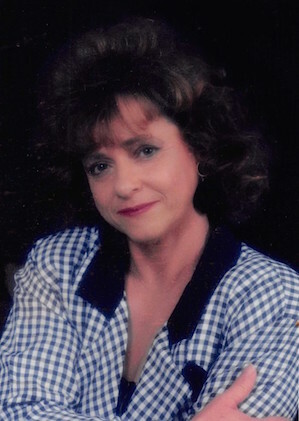 Louise was a former member of the Kentucky Broadcaster's Association. Three sisters, Brenda, Nancy, and Debbie. The family of Louise Wesley would like to extend a heartfelt appreciation to the staff of Liberty Care Center for their warm and comforting care of Louise. Memorial contributions are suggested to Gideon Bibles or to St. Jude's. 2018-04-11 - 752 Campbellsville Street, Liberty, KY - Photo from McKinney-Brown Funeral Home.